Chip’s Challenge 2 (finally) released! 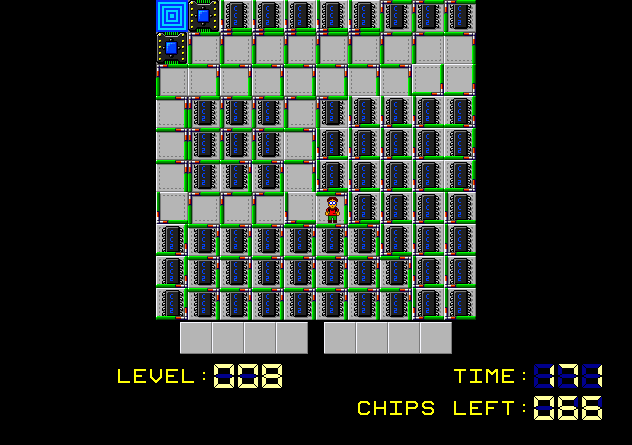 Chip’s Challenge has always been one of my favorite games since I first played it with my dad, grandpa, and uncle on the Atari Lynx. Chuck Sommerville made a sequel, but due to issues beyond his control, he wasn’t able to release it. 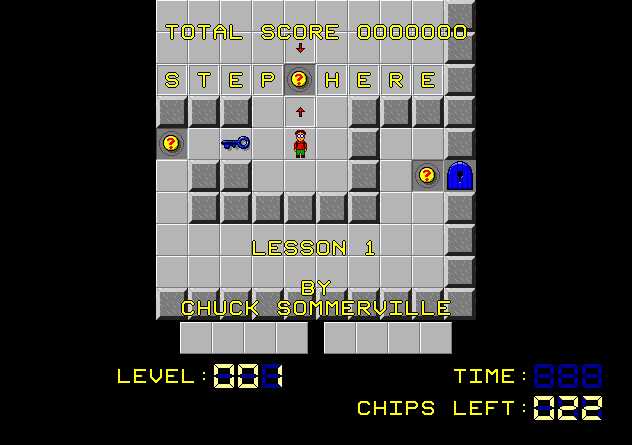 Twenty-five years later, Chip’s Challenge 2 has finally been released. It was released alongside Chip’s Challenge 1 on Steam and can be purchased in a $5 bundle that contains both games and the CC2 level editor. It’s a tile-based puzzle game tasking you with helping Chip collect keys, unlock doors, avoid deadly traps, and plan how to retrieve important items that allow you to get past obstacles. Chip’s Challenge 2 appears very similar but adds a variety of a new game elements. It’s probably too early for me to talk about it too in-depth as I’m only eight levels into the game. However, I’m having a lot of fun, and it’s almost unbelievable that I’m finally playing this gem of a game. It came at a time when I’m about to be extremely busy for the next week, but I’ll see if I can squeeze in a few levels while at my conference next week! Congratulations, Chuck, on finally getting Chip’s Challenge 2 released! Go Bit Buster! bob’s game was successfully funded on Kickstarter one year ago today. Right now the official bob’s game site just links to the Kickstarter and we’re no closer to the game. What happened exactly? Let’s look at what Bob has said in the comments since it was Kickstarted. bobsgame, 5/23/14: Thank you to everyone who pledged, you are all fantastic and I couldn’t be more grateful for the opportunity to continue working on this game. For those who are wondering, it made it on the last day thanks to a very generous backer who has been following the project from the beginning. His site noted that he was going on a 10 day meditation retreat. bobsgame, 7/31/14: Hi, I realized during my meditation that the best course of action was to spend some time with my parents and then get an apartment for a year, so that’s what I’ve been doing. As soon as I’m settled in I will put up a registration form for backers to provide an address for the business cards and then ship them out. Thank you and sorry for the delay. Backer, 8/1/14: You guys should relax a bit. lol He will give us updates when he has something worth letting us know about. Obviously, he didn’t feel like “spending time with family” would be a good update but some of you guys being impatient made him come here and post that. There was no ETA on the cards in the pledge rewards description so people who pledged to get those need to wait until they’re ready to be shipped. This game is obviously going to take time and there is only one person working on it, so give it time guys. Gran PC, 8/2/14: There was no ETA? Wait, so what does the “Estimated delivery: Jul 2014” mean right under “Original business card blah blah”? bobsgame, 8/2/14: Thank you for being understanding, Backer. GranPC is correct, I missed that shipping date. I’m very sorry for the delay, I’ll do my best to make up for it. Massimiliano Luisi, 10/31/14: Progress so far? bobsgame, 12/31/14: Happy New Year! – Bob’s Game Kickstarter To Be Refunded After Developer Moves On, Michael Thomsen, Forbes.com, 1/14/15. bobsgame, 2/8/15: Everything is back on track, more or less. Giroro, 2/26/15: I’m bored. Anybody know of any fun games to play? 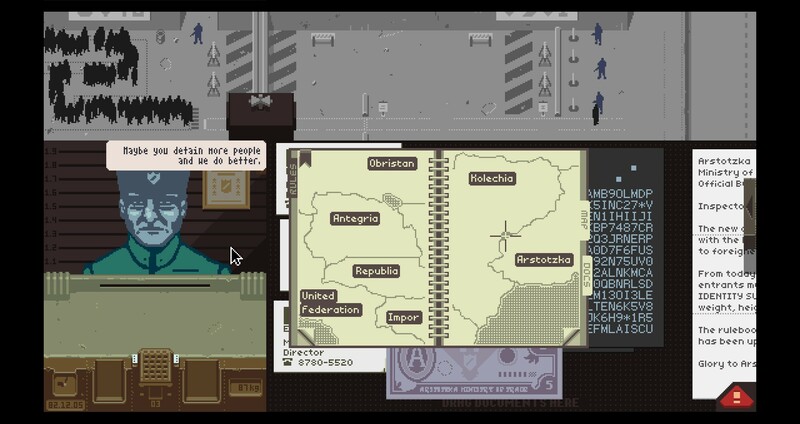 Gran PC, 2/27/15: Was the ‘welcome to “bob’s game”‘ text on top always animated? I swear it only started pulsing now. Peter Anargirou, 5/23/15: Hi, Bob. The Kickstarter funding closed one year ago today. Any update? Thanks, and I wish you good luck! And that’s it. Honestly, I only pledged $20. I already got $20 worth of enjoyment, but I do hope it reaches a more polished release of some sort, both for his backers’ sake and for his own sake. I guess we’ll see. You can read my complete coverage of this strange tale here. Edit on 5/30/15: Bob responded. bobsgame, 5/24/15: I am turning into God. In an effort to get through my backlog, I played a lot of my games in the last couple months. I found most of them boring and didn’t give them much time, but some were entertaining for a while. Let’s look at some of the games I tried and decided to stop playing. 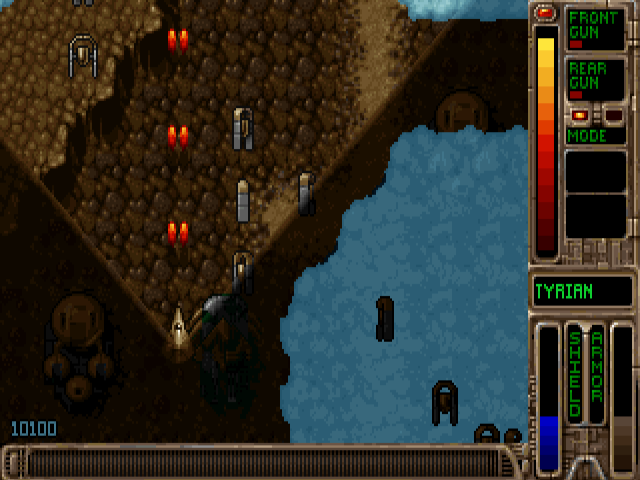 Tyrian 2000 is a scrolling shooter with nothing special about it. It didn’t grab my attention at all. 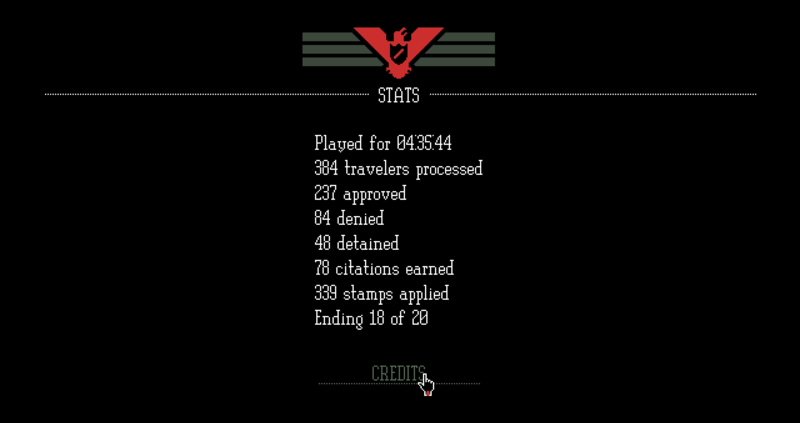 I’d call this a run ‘n’ gun game, but I guess that’s not really a genre. 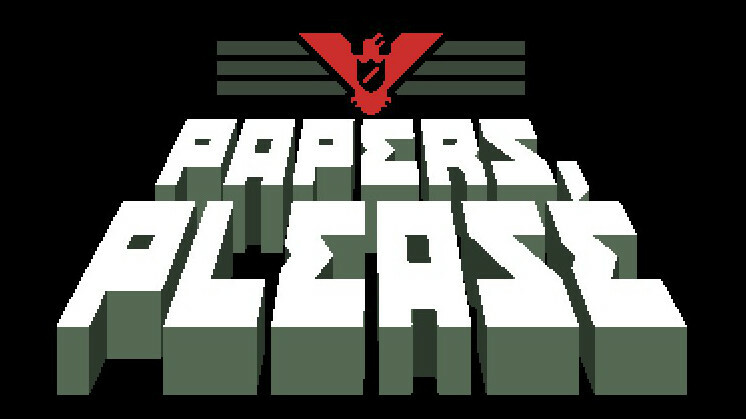 It’s like a fast-paced Contra, only not as good as Contra. I do like the visual style, but there’s too much happening on the screen all the time. You control a rabbit who’s the prince of hell, and you travel around killing enemies in bloody ways. I know it’s trying to be over the top, but it felt too over the top. 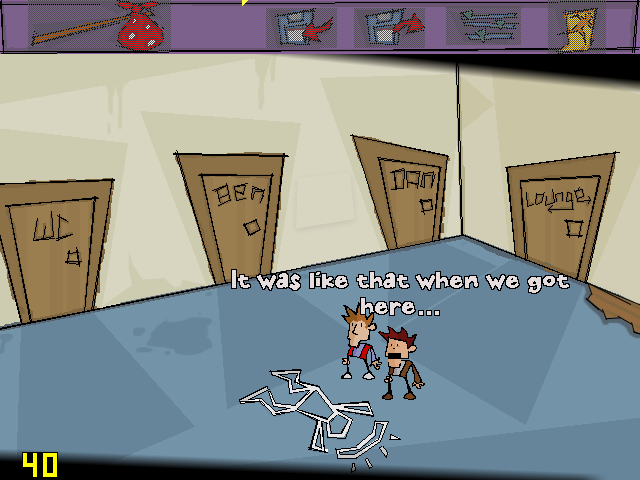 This point-and-click adventure game obviously draws inspiration from Lucas Arts. 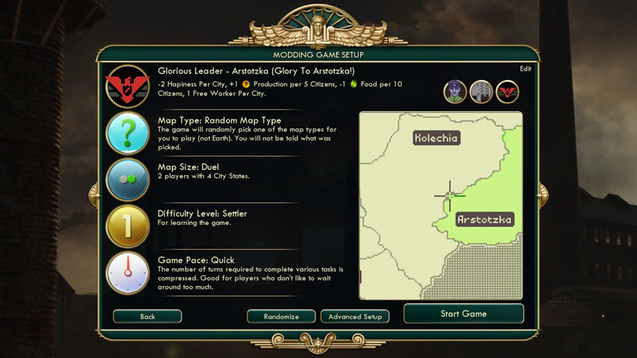 It references a number of early, pioneering games of the genre, which I think is neat. 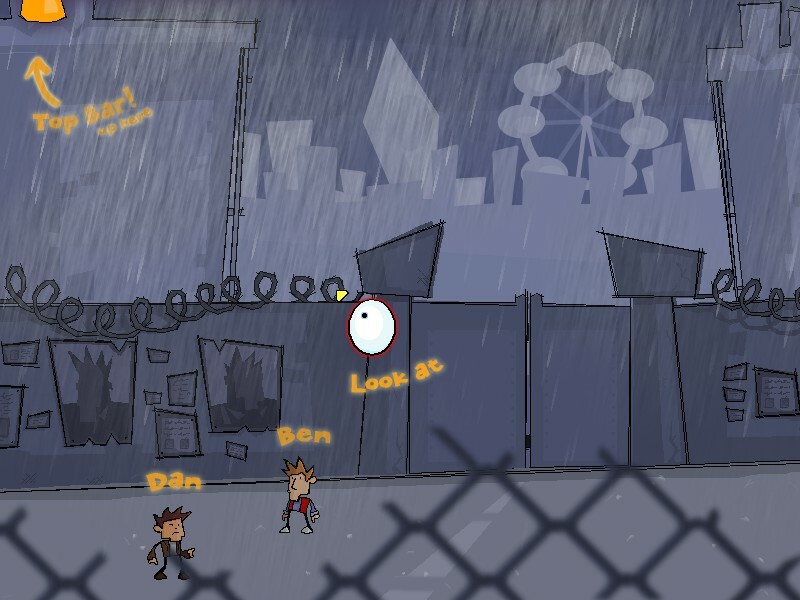 From the few minutes I spent with it, I feel like it could be a good choice if you’re craving a point-and-click adventure game with some chuckles, but it wasn’t doing enough for me. This is the direct follow up to Ben There, Dan That. As the first didn’t interest me, I didn’t give the second more than a minute or so before decided it didn’t interest be either. 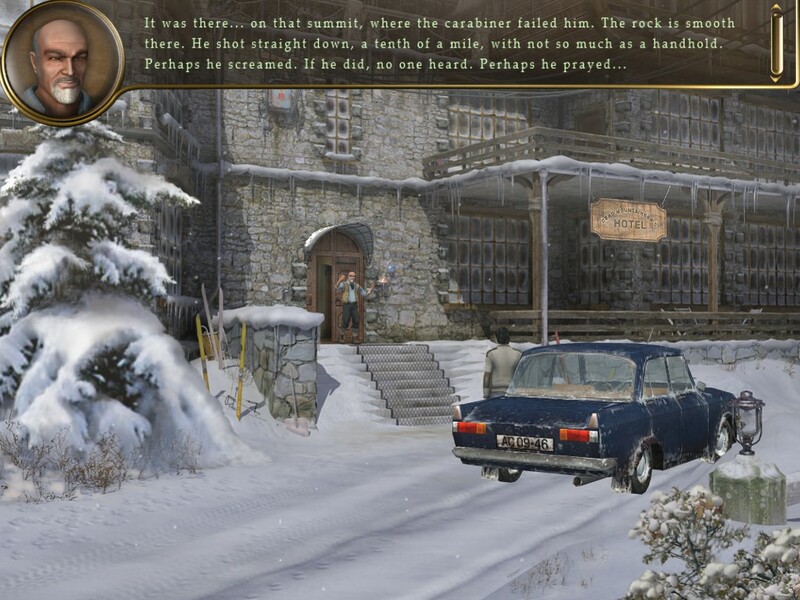 This point-and-click adventure game was translated from a Russian game based on a Russian sci-fi detective novel (at least according to Wikipedia). It seemed very forced, like the game was dragging from to each scene, and nothing seemed particularly engaging. The voice-acting was odd too. Reviews claimed it was very anti-climatic, and it seems that some pretty major plot points were changed with negative consequences from the original novel. I decided to pass on this. 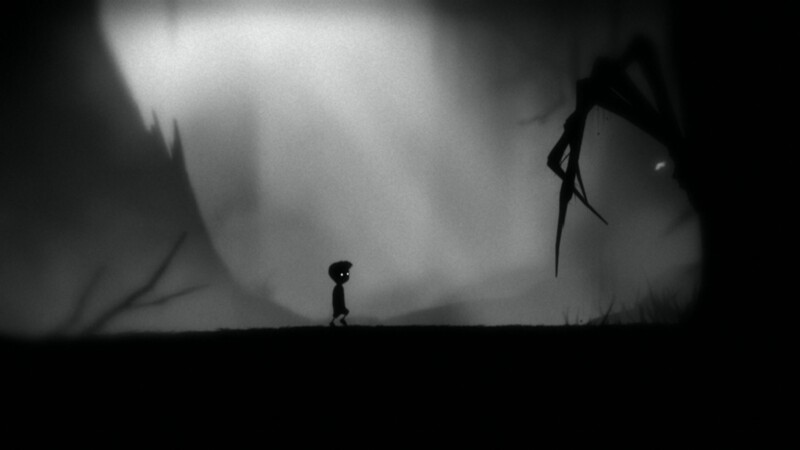 While I probably put less than an hour into Limbo and don’t feel like playing it more, I’m glad I experienced it. This screenshot alone does a decent job of summarizing the feel of the game. It’s a strange puzzle platformer game that’s a bit eerie. Deaths are definitely gruesome as well without having too much gore and shock value. From what I understand, it’s a fairly short game too, which is nice. 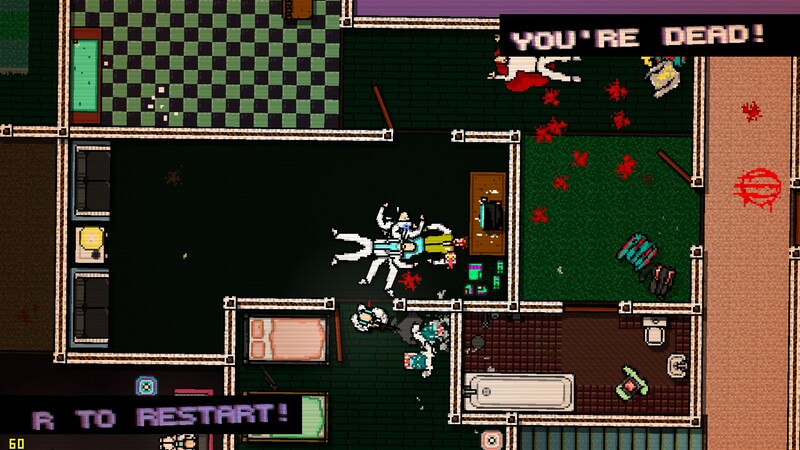 Hotline Miami reminds me of Grand Theft Auto in a number of ways. You commit crimes, you beat people senseless, and it’s pretty brutal. It has an arcade vibe that I liked, but I just didn’t feel like I was getting enough out of it. My friend Michael loves the game though, which does push me a little bit more toward putting more time into it. I just don’t quite care enough. Duncan bought this simple game on his PS4. It doesn’t quite fit in this list because I didn’t really give up on it. 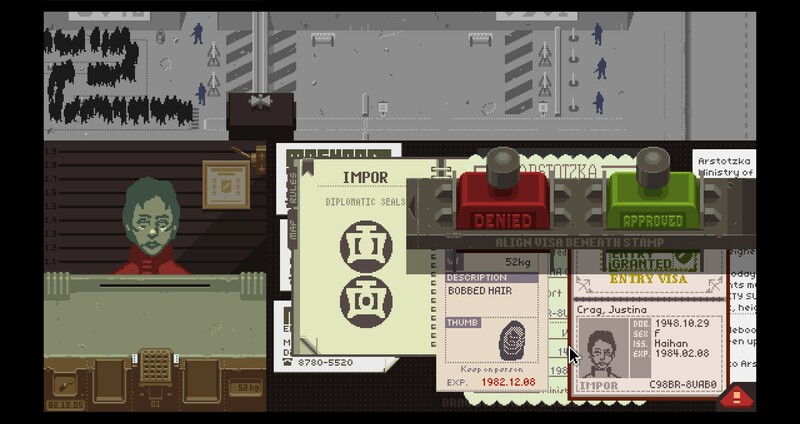 There’s a single-player that mimics multiplayer, but it’s basically a multiplayer game. And I played it a bunch! 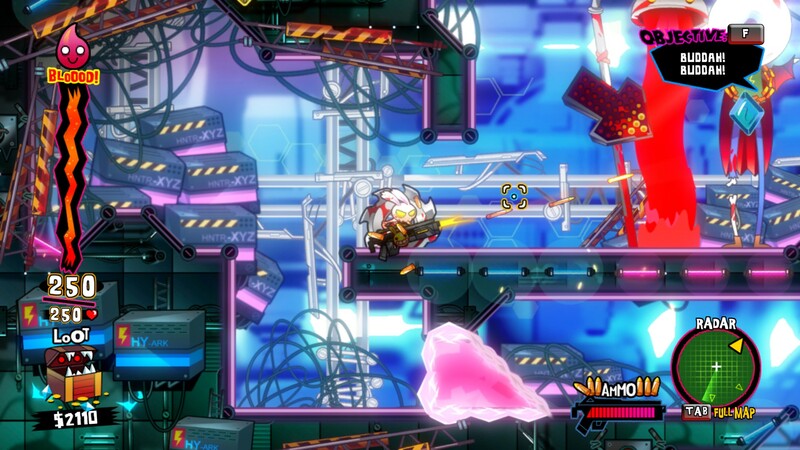 In a pixelated, stylized setting, two players engage in sword duels in relatively quick matches. It’s great when people are at the house and has lots of settings you can change to mix the gameplay. It also supports tournaments if you have more than two players. 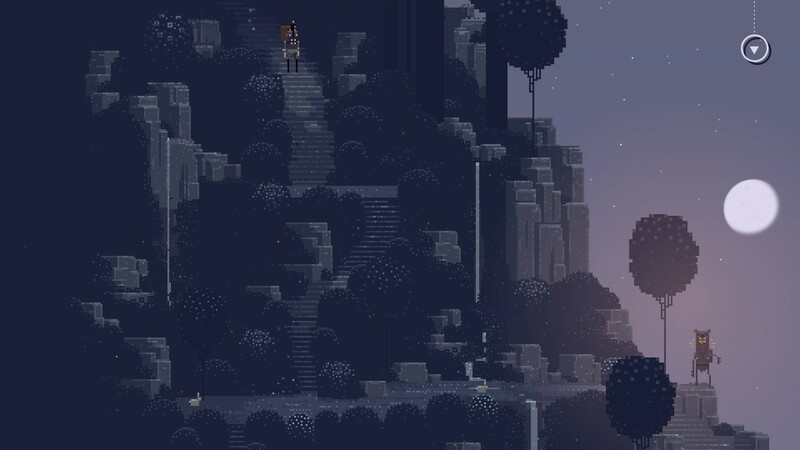 I’m not really sure how to describe Superbrothers: Sword & Sworcery EP. It’s definitely visually and aurally beautiful. 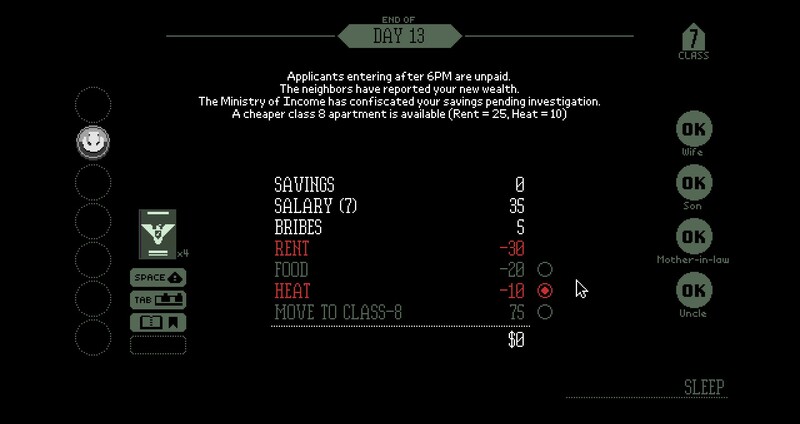 From what I played, it was mostly an intellectual game. There is combat, but the game is mostly about exploring, figuring out what to do, reading minds, and dreaming. Oh, and music is important too. Yeah, it’s a strange game. 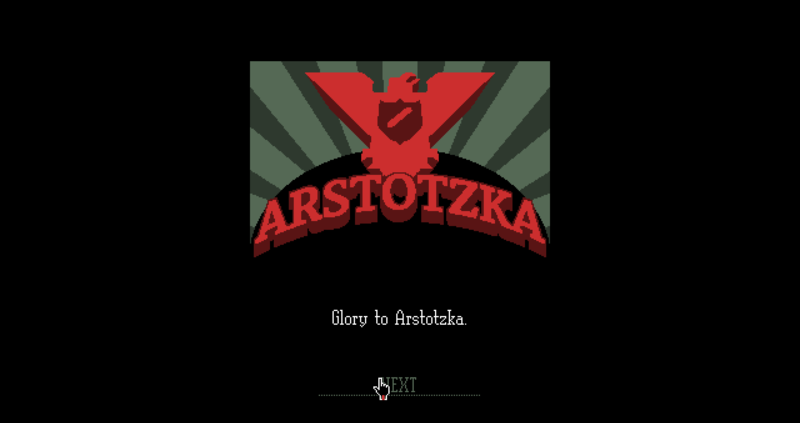 Compared to most of the other games I discussed, this game appealed to me a lot more. 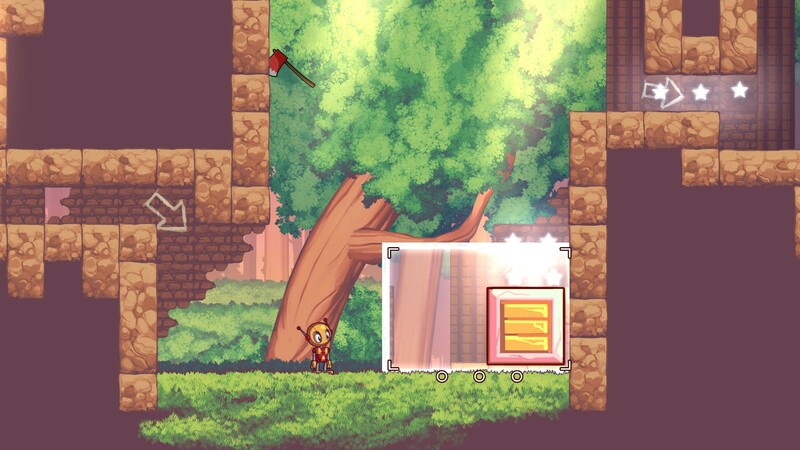 Snapshot is a neat idea for a platformer. You control the character with the keyboard but are able to cut and paste objects using the mouse. That’s it. That’s the idea. The visuals are neat, with a cute main character too. If I didn’t have so many other things asking for my time, I’d probably play this one a bit more. 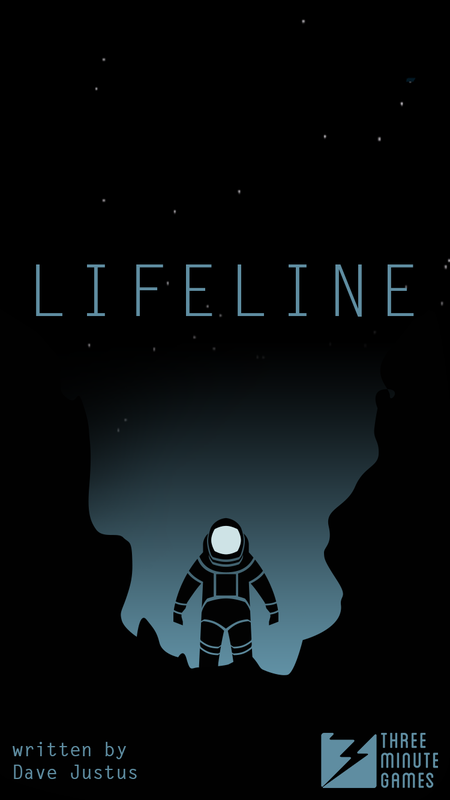 Lifeline is a piece of interactive fiction released on iPhone and Apple Watch recently by 3 Minute Games. It’s told entirely through incoming text messages from Taylor, an astronaut who crashes on a far away moon. 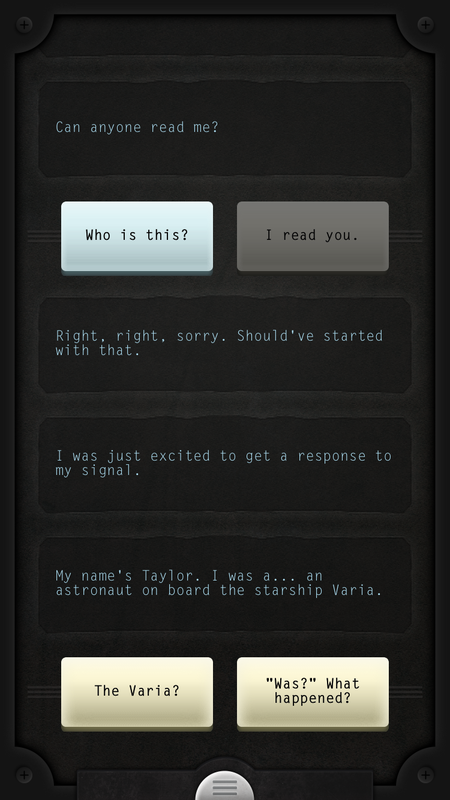 You shape Taylor’s survival by choosing one of two replies whenever he or she (the game doesn’t specify) asks you a question. It tells a intriguing story through a very interesting method. Sometimes Taylor just wants to chat, but other times Taylor asks something more important. Once I was asked if a certain amount of radiation was safe. Taylor asked me to look it up. I did, and I gave my answer, helping Taylor to survive that night. Other times the choices are less significant. Taylor nervously jokes like a real person might, even acknowledging the absurdity, and sometimes just asks which way you think he or she should walk. It takes Taylor real time to do things too, which helps makes the game feel like Taylor’s someone with whom you’re actually communicating. If Taylor says it’ll take an hour to walk somewhere, you’ll have to wait an hour to hear what happens. This isn’t like those terrible Facebook games that make you pay to boost through an artificial delay; these delays add to the story. 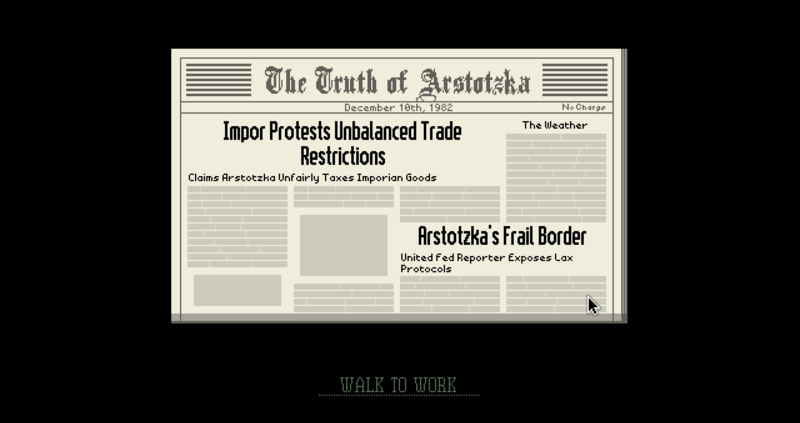 In addition, there’s no in-app purchases, DLC, ads, or anything else unsavory. You simply buy the game for $2.99 and enjoy it. 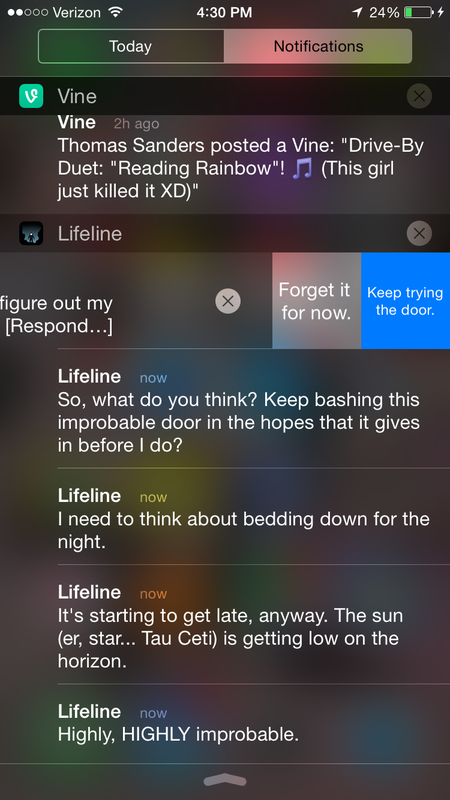 In addition to touching a notification to jump into the game, you can also choose a reply directly from the notifications and even from the lock screen. This isn’t always perfect, because if you missed a lot of messages from Taylor, only the most recent handful will be displayed. Your choices can sometimes be cut off too, but it’s still pretty neat to be able to do that. You can start there and if you need to click through, click through. As a fan of both interaction fiction and sci-fi, this was pretty perfect for me. The story was more interesting than I expected as well. It was $2.99 well spent.